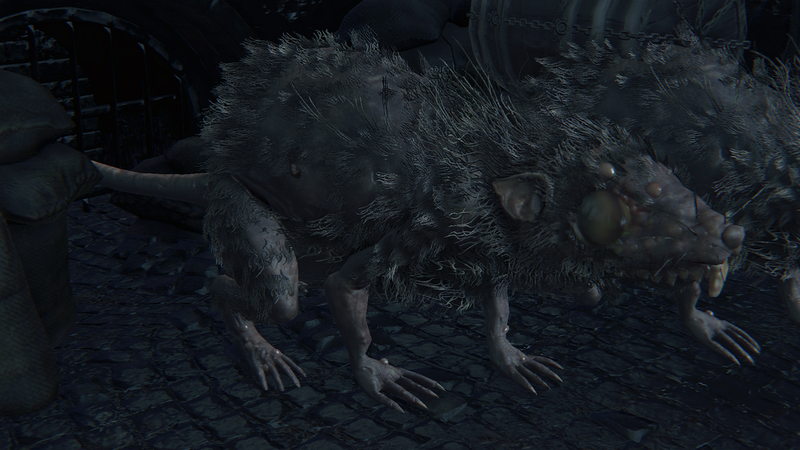 Giant rats inhabiting the central sewers of Yharnam in large colonies. While not too dangerous on their own, they are never encountered alone and can become a serious problem in groups if you don't have a few Molotovs handy. Labyrinth Rats use basic claw swipes, forward lunges and a bite combo; their attacks have enough windup for you to quickstep out of the way and counterattack, but it's still a good idea not to let them get too close. They're not quite as agile as Rabid Dogs, but they move quickly and will keep up the pressure by constantly running toward you if you try to back off. They will also sometimes leap sideways immediately after striking in an attempt to avoid your counterattack. 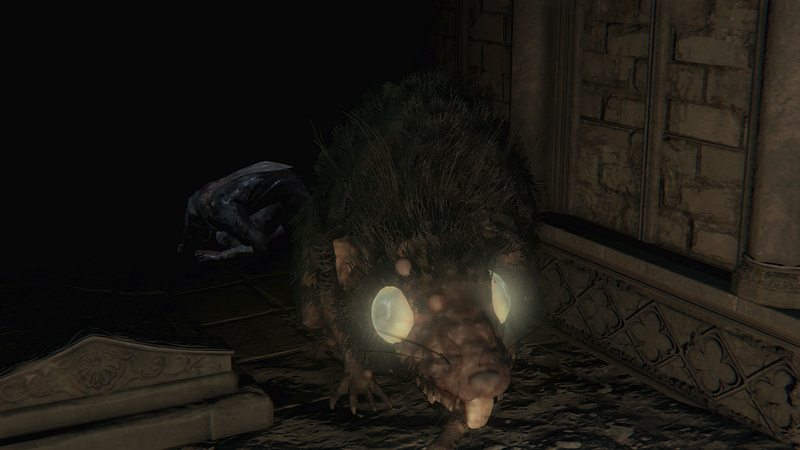 Although Labyrinth Rats cannot be staggered or interrupted, you can knock them out of their attacks by shooting them. 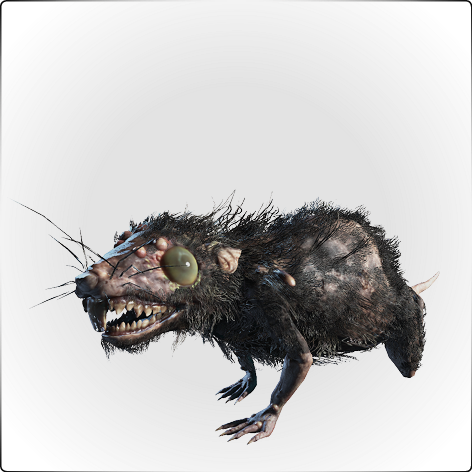 In many spots where groups of Labyrinth Rats are visible below you, you can hit several at once with a single Molotov from a safe vantage point - just be careful not to stand too close to the edge, or risk falling into the lower area and being swarmed. If you have no choice but to face them on even ground, try to avoid being seen by several at once - fighting a group leaves very few safe openings for you to attack, though thrust attacks from weapons like the Saw Spear in transformed mode will stop them in their tracks at a safe distance. If you do end up fighting several at once, back away from them and wait for a chance to use a sweeping horizontal attack to hit all of them at the same time - if you can keep up the combo long enough to kill one or two of them, you can buy yourself enough breathing room to mop up any that remain. 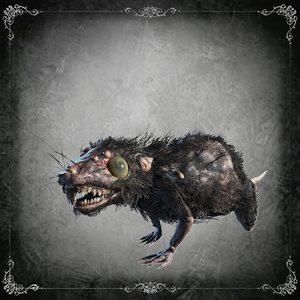 Basic variant found throughout Yharnam. 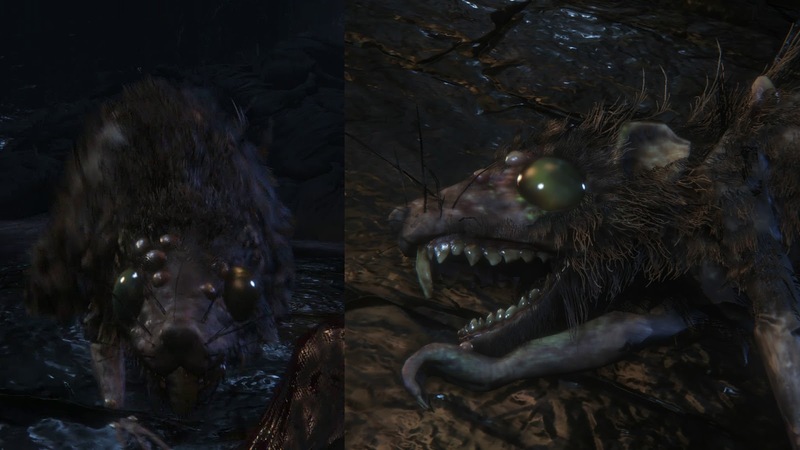 Variant with eyes glow, found in Recovery Room before Research Hall.